This is about as good as archery elk and mule deer hunting in Colorado gets. Situated in Unit 54, archery hunting in the month of September, great weather, a great ranch, excellent guided hunts, and lots of bugling bulls. Bulls are in rut and the action is non-stop! Our private land and remote National Forest Permit, which has limited access to the general public, is a true delight. Licenses are over-the-counter for Elk Hunts, while Deer Hunts are on the draw system which are all in the State of Colorado. The only thing that beats calling in a big tom turkey is calling in a trophy bull. Some bulls come in quiet and others come in screaming, bugling, raking trees, blowing snot being full of testosterone, all while those beautiful colors are changing for the fall season. Our archery deer hunts are second-to-none as we are also loaded with exceptional deer. 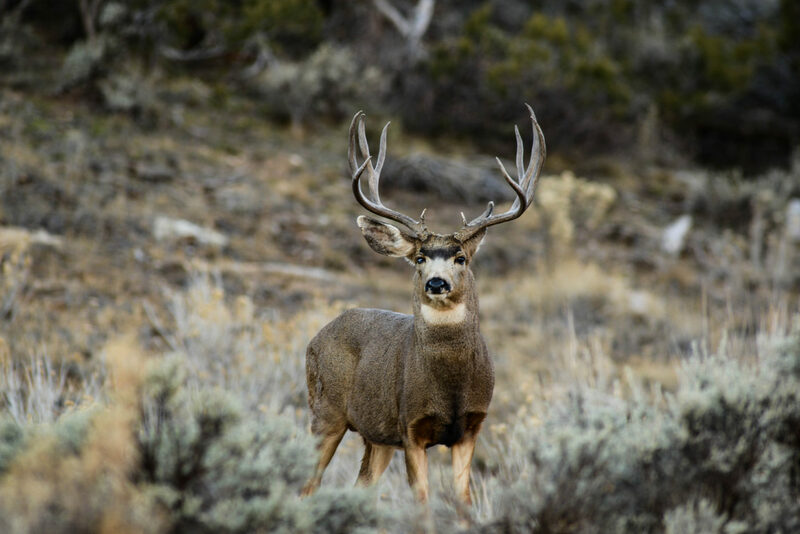 Imagine having your guide calling in a bull or targeting a mule deer and the excitement of it all taking place. If a person doesn’t get excited over this, they are almost dead. We can’t say enough about these 5-day hunts during this time of the year. You will enjoy your 5 actual days of hunting with another day added for arrival and another day for leaving. We are creating golden memories that last for a lifetime with our archery elk hunting and archery mule deer hunting in Colorado. Darrell has been a bow hunter since he was 16 years old. During that time, compounds were not even on the drawing board. Allen and Jennings entered the scene with their compound bows and now look what archery hunting has become. Hope to see you in camp! Call Darrell 970-209-0900 for information and dates. Please remember that a person born on or anytime after Jan. 1st, 1949 must have completed an approved Hunter Safety course. This course must be state-sanctioned and finished before being able to purchase any hunting license in Colorado. You must present an original hunter safety card to buy a license unless the State of Colorado has previously verified you. Hunters must carry this card with their license; this is very important as many non-residents bring a state hunting license from another state to prove they had hunted before and had sufficient experience. You can have all the experience in the world, but without your hunter safety card, you will not be able to buy a license. It’s a terrible disappointment to watch your friends hunt while you play solitaire at camp. Please remember to bring your Hunter Safety Card! 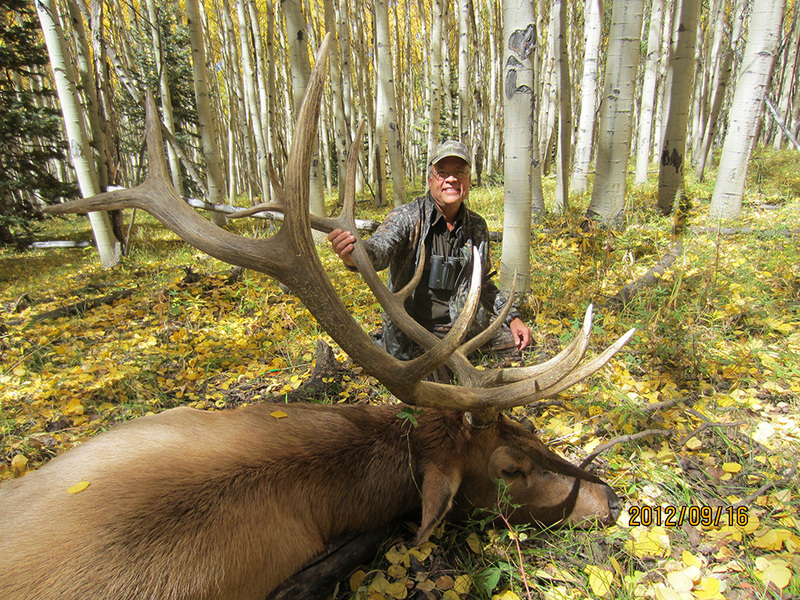 Book your hunt today by calling Darrell at 970-209-0900.